Are you looking for a new product that will bring your business an ever-growing source of monthly revenue? Are you a personal trainer that is looking to supplement your income and take your clients fitness and performance to the next level? Would you like to represent a product that you can feel really good about? And one that can help you and your customers live a more energetic, healthier life? We have openings for professional outside sales representatives, distributors and factory representatives who recognize the enormous potential of the Stemulite Fitness Formula program. We are looking or a few good men, and a few good women to represent this powerful new product! Affiliates are paid immediate commissions. This is NOT a multi-level program or one based on false promises and hidden agendas. The marketing of this product is based on sound business models and honest pricing structure. If you are interested, please call me, Matthew Wagner, at 541-997-6100 for a short telephone interview. Take advantage of this great opportunity to become a Stemulite Fitness Formula distributor! Please call the telephone number above or use the Contact Us form found on this website. To get started as a Stemulite Fitness Formula Distributor Right Away Just Click This Link. What are adult stem cells and why are they so important? Adult stem cells are uniform cells found in bone, blood, brain and other tissues in the body. Their importance is further confirmed with each new study. The reason? Stem cells have a remarkable ability to not only repair damaged muscle tissue, but have the potential to regenerate damaged organ tissue as well. Stemulite Fitness Formula can help recruit these adult stem cells to be used to replace damaged tissue cells caused by strenuous physical activity, surgery and any other cellular damage can be assisted in rejuvenation with an increase of adult stem cells recruited from your own bone marrow . Plus, a release of a higher volume of adult stem cells into the bloodstream can slow the effects of aging. Very few stem cell supplements available today encourage the stimulation of stem cells with the effectivness of Stemulite. Stemulite Fitness Formula recognizes the amazing potential of these powerful cells considered by many to be the best possible way to maintain optimal health. It will even help you get off the couch and back in the game! Stemulite is a binary dose (AM and PM) designed to take maximum advantage of the body's natural ability to restore and re-energize itself, truly a 24 hour fitness supplement. Although Stemulite works best with moderate to intense exercise regimens, it can even help those that live a more sedentary lifestyle due to injury or those that can’t find the time for proper exercise. You don’t have to be a body builder or live at the gym to enjoy the great advantages Stemulite. Stemulite Fitness Formula is safe, all natural fitness supplement for everyone. The NFL and Stemulite: What's the Appeal to Football Players? Professional football players don't really have any down time. They are required to keep their bodies in tip-top shape year round. Training can be strenuous at times, and football players often need improved stamina and a boost of energy to keep moving forward with their training. That's why safe, natural sports supplements like Stemulite Fitness Formula have become so popular among NFL players. Stemulite not only helps build muscle but offers a number of other health benefits that can affect training and playing in a positive manner. One reason Stemulite appeals to NFL players is the sports fitness provided without using harmful or illegal substances. Since Stemulite is approved as a safe supplement for the NFL, players can enjoy better health around the clock while also elevating their energy levels throughout training and games. Stemulite has a binary dose for AM and PM; doses are taken in 12-hour intervals. Although a fantastic energy booster, the product does not hinder sleep. In fact, Stemulite provides better rest and enables users to enter the deepest phase of sleep. During this time of quality sleep, Stemulite works along with the body to accomplish muscle and tissue repair. Some NFL players experience better sleep than ever because Stemulite has helped their bodies to heal and repair tissues more quickly. Soreness is greatly reduced or eliminated, even after a long day of training or working out. During the daytime hours, Stimulite aids the body in fitness training, muscle building and more. NFL players who take Stemulite often testify that they feel well rested each day and are able to recover quickly after strenuous workouts. They can push their muscles the extra mile and enjoy restful nights without tossing and turning due to pulled or sore muscles. Another football player who has seen positive results from Stemulite is Kevin Boss, starting tight end for the New York Giants. Boss states, "I'm putting my name behind this product because it works. I'm stronger, have faster recovery and better sleep than ever before. It really does work." Many NFL players have been skeptical of using supplements or any type of muscle enhancer. The reason for the skepticism is the NFL has strict substance rules due to the widespread abuse of steroids in the past. Fortunately, Stemulite passes the grade and many players are realizing its powerful potential to help improve their playing and overall well being safely and naturally. Stemulite combines several ingredients to stimulate adult stem cell growth and better overall health. These include alkaloids, enzymes, proteoglycans, amino acids, fatty acids, antioxidants, and mineral supplementation. These ingredients form a highly potent supplement that can help fight disease, build muscle, lose weight and provide 24 hour fitness for athletes or anyone who wants to take their health to the next level. The metabolism controls how your body responds to calories. Your body may burn calories and use them for energy, or it may store calories as fat. Most dieting efforts and diet products, in a nutshell, are designed to improve or "speed up" the body's metabolism. But unfortunately, many are only designed to provide short-term benefits. They are merely quick fixes to a long-term, ongoing need for proper metabolic regulation and weight management. What many people don't realize is that when the metabolism is functioning properly, someone that is overweight may lose weight and someone that is underweight may gain weight. Proper functioning of the metabolism helps those on both ends of the spectrum, including fitness and weight trainers. 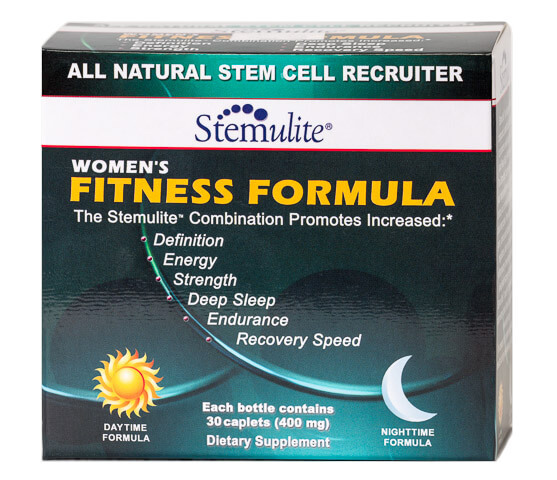 An all-natural product that's designed to help regulate the metabolism on a consistent basis is Stemulite Fitness Formula. What is Stemulite? Stemulite is a natural, super-fitness compound that supplies the body with needful amino acids, enzymes, certain fatty acids, proteoglycans, antioxidants, alkaloids and mineral supplementation. It promotes long-term wellness and increased stamina for those who are fitness-oriented as well as couch potatoes. Stemulite provides 24 hour fitness benefits because it is taken as a binary dose (AM and PM). This helps the body maintain a steady metabolic rate around the clock. Stemulite also aids the body in cellular repair because it has antioxidant properties that can boost immunity and stimulate the bone marrow to produce new adult stem cells. Many athletes and bodybuilders use Stemulite to enhance muscle growth naturally and to help their bodies heal more quickly from sports-related injuries or pulled muscles. Many who regularly take Stemulite will affirm how Stemulite helps them sleep better at night. It is formulated to help a person achieve deep REM sleep that is needed to ensure natural muscle and tissue repair. An added benefit of getting a good night's sleep every night is proper sleep helps the body regulate the metabolism more effectively. Studies show that an ongoing lack of sleep can cause the body to release more cortisol, a hormone that increases hunger. It also increases blood sugar levels, which can cause more fat storage due to raised insulin levels in the body. Sleep deprivation may also cause lower amounts of leptin to be released in the body. This hormone is released by fat cells to let the body know if it is starving or not. When the body's leptin levels are low, this may increase a person's carbohydrate cravings, thus, making it more difficult to manage weight properly. With proper sleep each night, the metabolism can function normally for an otherwise healthy person. This not only boosts weight management efforts, but also increases energy during the day. Stemulite provides an all-natural solution to help regulate the metabolism and manage weight in a healthful manner without crash dieting. It also boosts muscle growth and stamina for athletes and bodybuilders who want to focus on weight gain. Though Stemulite is an all-natural product with no known side effects, you should consult your doctor before taking any supplement-especially if you have a pre-existing medical condition. Take time to research Stemulite online to read about its effects on the metabolism. Then decide if this product that's helped so many already may work for you too! Get Your Stemulite Free Trial before you buy? 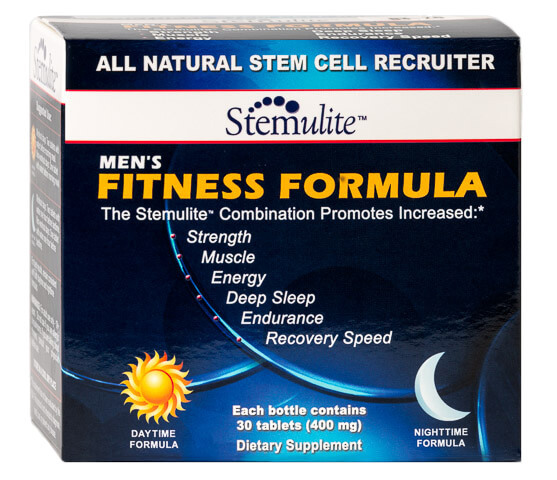 Stemulite Fitness Formula uses cutting edge stem cell technology to recruit dormant adult stem cells from your bone marrow to promote and help your body repair and GROW NEW MUSCLE. Stanford University conducted sponsored research to show that an active molecule within the formulation of Stemulite Fitness Formula does in fact repair and grow new muscle tissue. Maintaining the many benefits Stemulite Fitness Formula has to offer is simple, just stay on the program consistantly, every morning and every night. Take your Stemulite every twleve hours. Nightime Formula should be taken just before bed, then try to time your Daytime Formula twelve hours later. Can be taken with or without food. 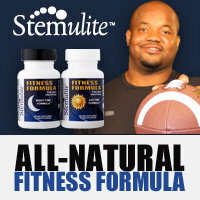 Gary Brackett former starting linebacker and Defensive Captain for the Indianapolis Colts has something to tell you about Stemulite Fitness Formula. The Colts are the 2009 AFC Champions and Gary was top defensive player in Super Bowl 44 with 13 tackles. Gary has recommended Stemulite to his team mates and other players. Get your Stemulite Fitness Formula Advantage Today! We also offer many discounts for volume orders and auto-delivery for Stemulite Fitness Formula. We have 28 Day Auto for men, Mens X2, and by the case. Keep your Stemulite Fitness Formula coming automatically and SAVE. Please remember that you can skip deliveries or cancel any time, just call or send us an e-mail! We wish only the best results for our clients. We really want to stress the importance of regular use and want to encourage you to let us know how YOU are doing! We strive to provide the highest quality products and service to all of our customers.